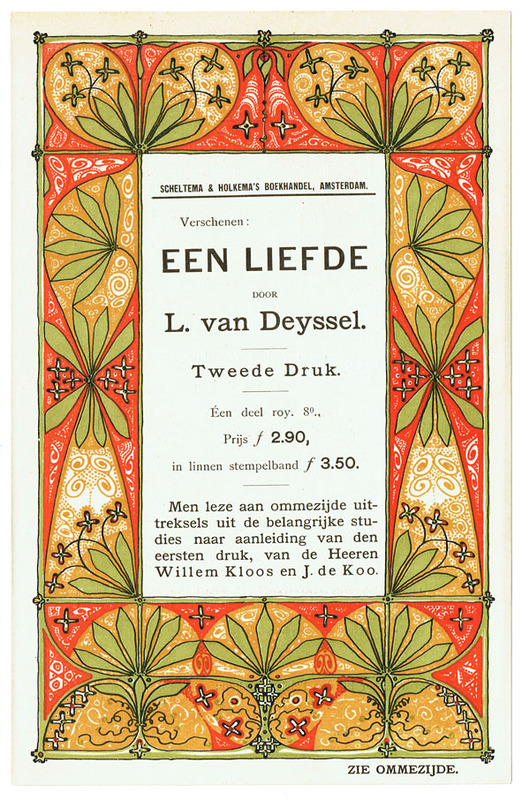 This book announcement for the 2nd edition of the novel ‘Een Liefde’ (A Love) from Lodewijk van Deyssel is by far the most beautiful prospectus I know. 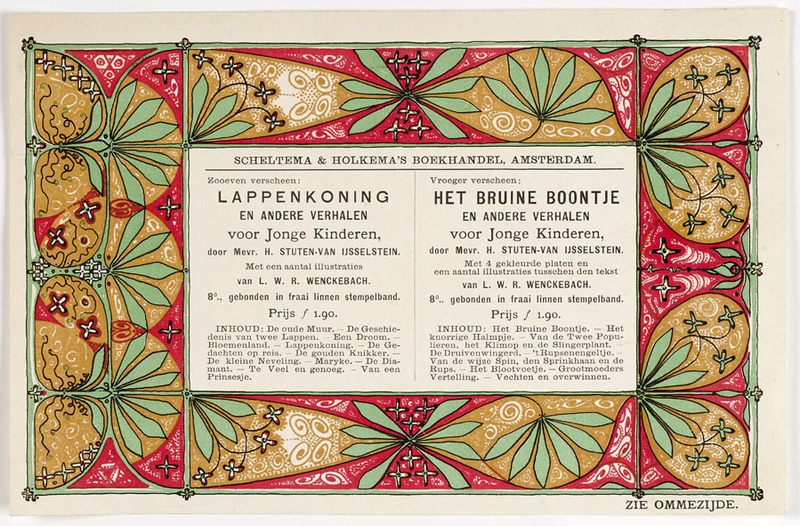 A simple piece of paper with a colorful Art Nouveau illustration by Theo Nieuwenhuis (1866-1951). Publishers House Scheltema en Holkema appreciated the design from Nieuwenhuis and used it for many other book announcements. However, sometimes the publisher made a mistake by turning the design on its side (see the 2nd picture). As a result, it seems as if the plant is growing from left to right rather than from bottom to top!